"Patricia Houlihan has become the go-to lawyer for clients in Vancouver looking for a boutique option since opening shop in 1999. Houlihan cut her teeth with McCarthy Tétrault LLP, and spent five years leading the Environmental Dispute Resolution Fund with West Coast Environmental Law, a pro bono organization. 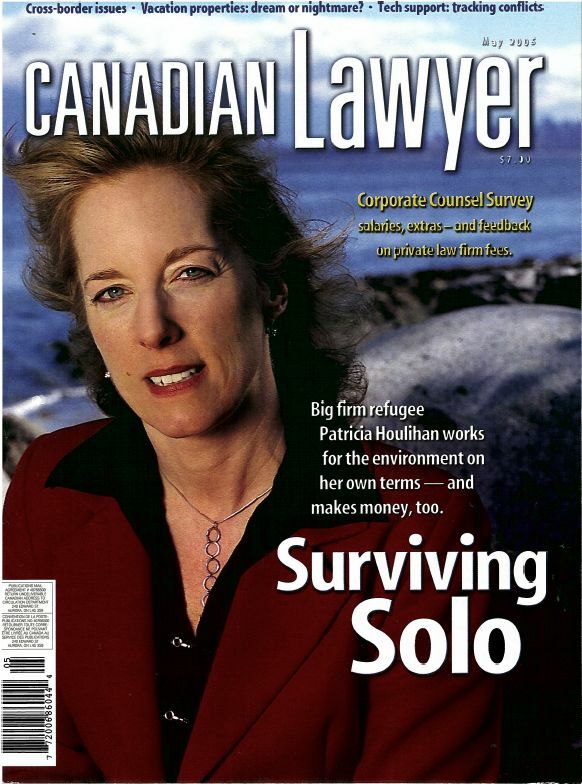 She has also gained respect for her service to the profession as a past chairwoman of the Canadian Bar Association’s environmental law section, and as a professor at the University of British Columbia Faculty of Law, Kwantlen University, and the B.C. Institute of Technology. Houlihan has done environmental work internationally and has spoken at conferences around the world."